Ready or not, 2018 is on its way. As we enter a new year, we prepare for a new surge of digital content. The Internet becomes ever-expanding, new trends begin to emerge, and technology continues to evolve exponentially. As industries adjust and consumer behaviors change, we must prepare to go in to what might seem like the most chaotic, electrified warzone there’s yet to be. So much content is produced and published worldwide, it seems almost impossible to make a ripple in the vast ocean that is marketing. Marketing is an essential part of business, and a huge one at that. We as businesses must promote our products and services and bring awareness to our brands, amidst the over saturated pool that all businesses are swimming, and reach our target audience- the consumers. Nowadays everyone has a smartphone, everyone is on the Internet, and everyone is seeing every post and advertisement. So how do we stay on top of the game and reach our target audience? Unfortunately, there’s no 4-step-checkmate move to reach that goal, but there are some steps to take in preparation to make our marketing more efficient and effective. 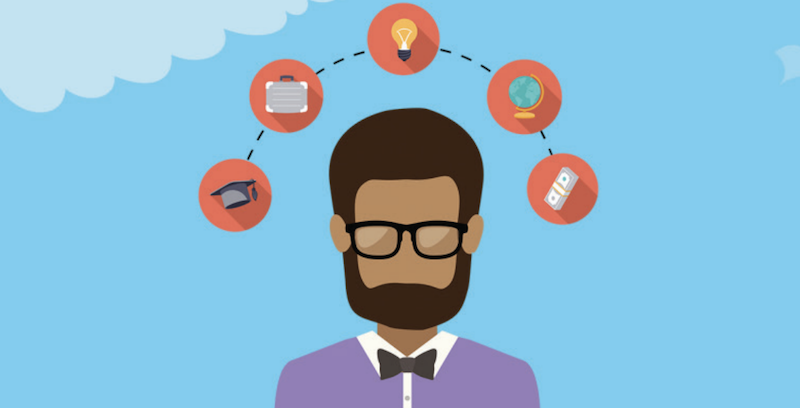 Creating buyer personas for an organization is nothing new. But that doesn’t make them any less important. In fact, understanding your buyers is more important than ever in the digital age. Industry trends change, and buyers now have access to more information before making a purchase decision. Because of this, you must be front and center for your buyers at all times. By creating, or refining, your buyer personas, you’ll be able to create a marketing mix that gains traction and reaches your target audience. A buyer persona should accurately identify your ideal audience and reflect the specific desires your prospects have when it comes to your products or services. Your organization will likely have more than one buyer persona to express the diversity of your audience and that’s a good thing. You’ll be able to personalize their customer journey and enable your marketing efforts to be more impactful. Your buyers are always changing. New trends impact their day-to-day lives and market dynamics shift how they measure success. 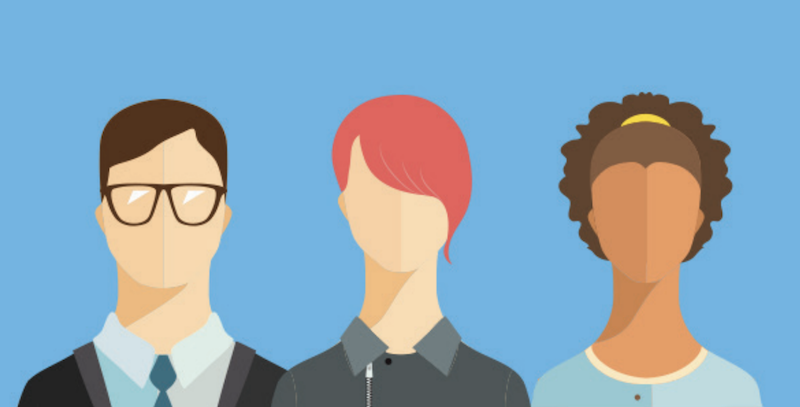 While you may already have personas in place, it’s always necessary to check on what challenges and pain points are top of mind for your target audience and what you can do to fix them. Revisit your past year’s content and see what worked and what didn’t. You can find which type of content was most effective in communicating to your audience, generating leads, shares, etc. and build a more focused strategy based around that type of content. 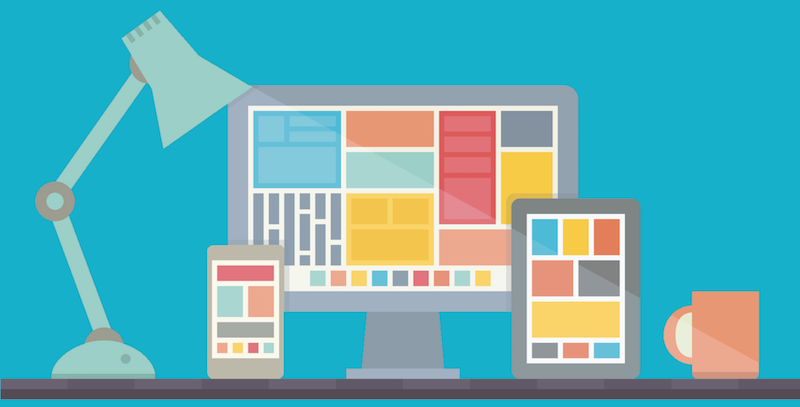 With the rise of smartphones, tablets, laptops, and many other devices, people are searching for content all over the place. It is important to have your content accessible to all types of platforms to reach your largest amount of target audience. A step up from that includes the varying social media platforms that are being widely used. Facebook, Instagram, LinkedIn, Google, are all go-to platforms for customers to research products and reviews that influence buyer decisions. Being active across the web not only increases the likelihood of customers finding your business, but it builds a solid reputation for your company and promotes your online presence. While you’ll be marketing products and services alike, the main goal in content marketing is to build brand awareness for your company throughout the web. To do so effectively, you must understand where your target audience lies and optimize your online marketing accordingly. For instance, if your target demographic primarily consists of people age 50+, chances are you aren’t going to find many of them on Twitter or Instagram. Platforms such as Facebook and Google have made it increasingly easier to target specific demographics and reach more potential clients, so becoming familiar with different programs and utilizing them can give you a step up in your marketing strategy. If consistency is key, calendars are the locksmiths. 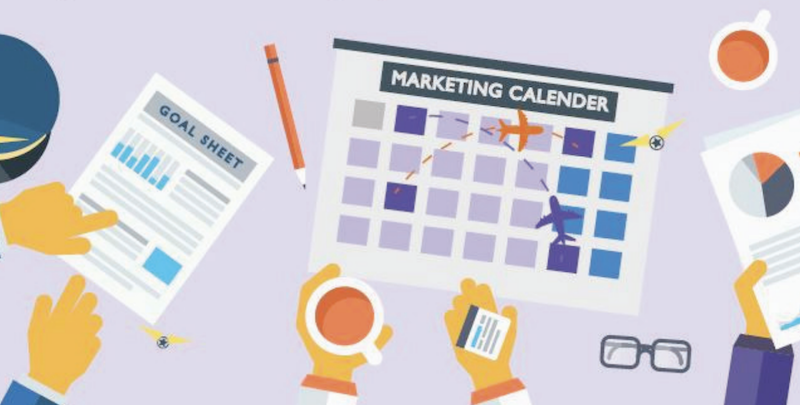 Using a calendar to plan where and when you want content posted will give a more solid understanding your overall content marketing strategy. Instead of creating content and blasting it across different platforms and mediums, you’ll be able to view a timeline showing you when, where, and what content your audience will receive from you. It is important to diversify your content, and implementing a calendar can ensure you’re not posting the same thing repetitively. You will also be able to plan for future marketing and take advantage of special occasions such as holiday marketing, industry trends, and other seasonal events. Nowadays, content is everywhere. The Internet is over-saturated with special promotions, company advertisements, the latest technology gadgets, and so much more. With nearly everyone having access to the Internet at their fingertips, marketers are poised with the increasingly difficult task of drawing consumers through an over-saturated pool of effective content marketing. Building your content strategy keeping these tips in mind will give you a better overall understanding of your target audience and how to reach them. With times constantly changing, it is important to build a content strategy that is both flexible and effective. Starting the new year off on the right foot is an essential part of having a great business year. 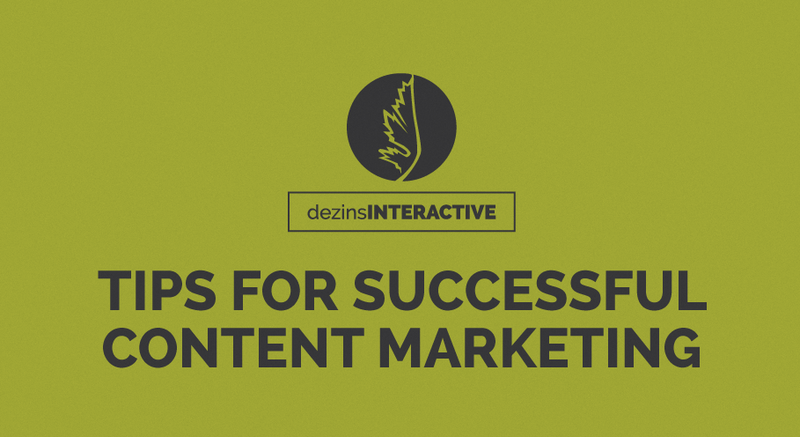 For help in developing your content marketing and planning a successful 2018 strategy, call (225) 615-8358 or visit https://dezinsinteractive.com/.